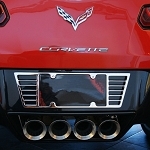 Finding the right parts to make your Corvette look special can be a challenge. 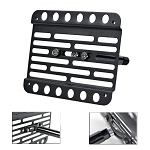 We have the parts to make that happen. 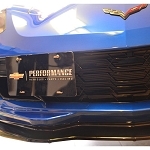 We can fill your need whether you're looking for high-performance headers or carbon fiber hoods. 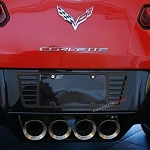 But while these parts are common upgrades to enhance the performance and appearance of Corvettes, some smaller items are often overlooked. 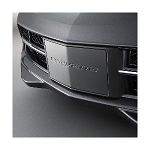 No detail should be considered insignificant when taking the time to "mod" a Corvette's appearance. This includes the license plate. 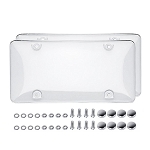 These plates are required on all street-legal cars, and while you may not have a choice whether to use them, you have a lot of choices about how they look. 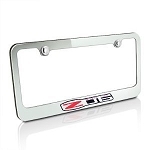 One of the least expensive items to help "mod" a Corvette is a nice looking license plate frame. It's a real shame when a beautiful Corvette has been customized to the "max" but the license plate looks like it is hanging on by a few rusty screws. 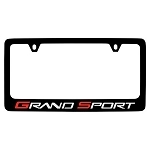 The government requires us to hang those things on our cars with total disregard for what it does to style and clean lines. 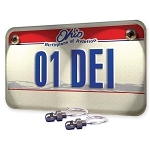 In states where front license plates are required, it is especially challenging to make them look good. 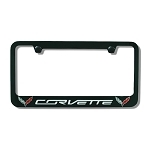 Corvette Mods has a large selection of Corvette front license plate frames and rear license plate frames. 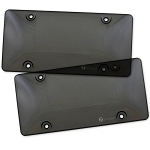 These durable custom frames will firmly hold your license plate in place will instantly show your love for your car. 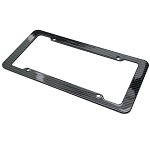 We offer chrome license plate frames, stainless steel frames, black carbon fiber frames, and exact paint match frames of your car's year and model. 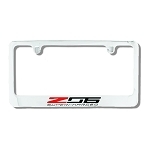 Wide license plate frames and matching side marker covers are also available. 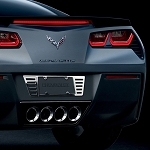 It is important to match the year and model of the license plate frame to your Corvette. 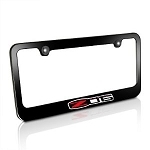 We stock C7 Corvette license plate frames, C2 1963-1967 license plate holders, and everything in between. 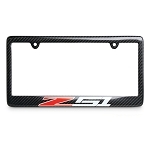 Some frames can be customized with your vehicle's specific year. 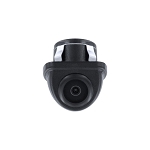 Add a license light lens to improve nighttime visibility so police officers will know your car is legally registered. 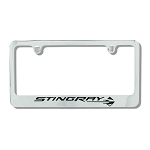 If your state doesn't require a front license plate or your Corvette is strictly a show car, you don't have to leave an empty frame on your bumper. 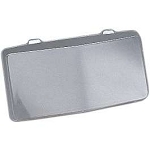 Corvette license plate covers are one of the least expensive ways to stylize a car. 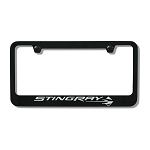 We have Stingray license covers, flag logo license covers, C4 lettering license covers, and other cool plates. 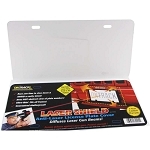 Just like our license plate hangers, these covers are made of durable lightweight materials that maximize performance. 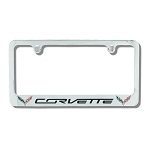 Remember: don't be in a rush to put an item on your car just because it says "Corvette." 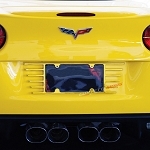 There are shortcuts to any job, but after spending money and time making your Corvette look special, matching the license plate frame with the year and model is well worth the effort. 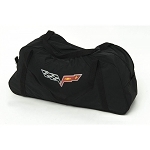 Many Corvette owners don't realize that we have so many options available. 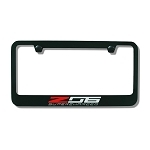 Our fitment year search options will show you license plate frames and covers that match the model year of your car. This improves your chances of getting a match. 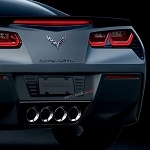 Corvette owners enjoy looking at their cars and seeing other people looking at them. This is just part of the fun of owning a Corvette. Entering your Corvette in a show, whether locally or on a national level, is also part of the enjoyment of Corvette ownership. Don't let some minor detail cause you to miss out on the "grand prize." 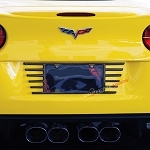 Complete your license plate "mods" by inspecting your Corvette as if you are going to buy it. 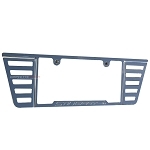 If you find the license plate frames don't quite look right, or anything else that seems out of place, contact us to make it right.